Our mission: bringing high-fidelity sound to the many. The most critically-acclaimed audio company in the world, with over 70 awards backing 100 plus patents. 10 years of research and development were needed to fuel life into Phantom and offer unrivalled audio technologies in ultra compact design. The result is truly exceptional sound that over-delivers on all scores: a disproportionately high performance-density ratio; zero background noise, distortion or saturation, however loud the volume; implosive bass you feel with your whole body. Emotion comes through, unspoiled. 0 distortion, 0 saturation, 0 background noise. 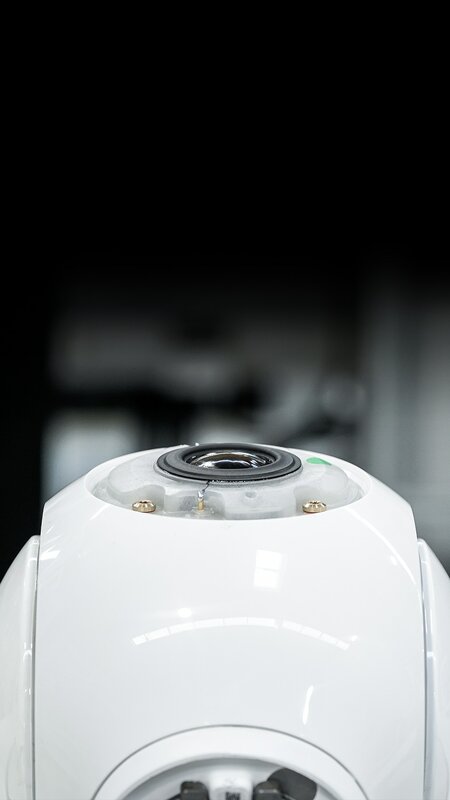 Follow every step of the birth of Phantom Reactor and watch Devialet engineers bring to life the most technologically advanced compact speaker ever built.